Get Ready for Marley and Me and Check out the Movie Trailer. Out tomorrow 3/31 and make sure that you have a box of Kleenex handy for this movie. The best price for Marley and Me is at Walmart this week $16.89 for the DVD, $22.89 for the Two DVD HD Set. Target has them for a dime more, $16.99 and $22.99. Use $3.00 mfg. coupon (found in Selected Dog DVD's found at Kmart. To get your Rebates: yes, 2 Rebates. and Marley and Me and get $3.00 back. **Make sure you ask the cashier for a duplicate receipt to be able to do both. If you can score a Marley and Me Peelie on the top of the Lid of Spot Shot Carpet Cleaner, use the coupon on it when you buy Marley and Me and Spot Shot and get the carpet Cleaner Free. (This will save you having to mail it in and wait for the refund). I found the Marley and Me Peelies on the Spot Shot Carpet Cleaner at K-Mart. Walmart did not have the peelies on them, so I will use them at Walmart. Kmart has the All Dogs Go To Heaven DVD that has the Marley Coupon in it and use the $3.00 off coupon from Smart Source, for two cheap Dog DVD's. Information for the Spot Shot Rebate or Instant Coupon. There are two ways to participate in this offer. specially marked packages of Spot Shot, and receive instant savings when you purchase the Marley & Me DVD or Blu-ray, available March 31st. Complete the online form (available 3/31/09) to receive a rebate by mail. (up to $5.49). You will be issued a check by mail for the purchase price of Spot Shot. A proof of purchase for both Spot Shot and the Marley & Me DVD or Blu-ray is required. Enter the Marley and Me Sweepstakes and try to win a Grand Prize Family Trip to Hollywood. I found this good deal for my own Stuffed Marley which came last week. Limited Edition Marley Plush from her favorite movie $14.99 (regularly $24.95) at the fox store. Check back next week for Double Movie Deals: The Tales of Desperaux, and Bedtime Stories. Get a free movie rental at Redbox locations today 3/30 only when you use the code 89ZQJ3 at checkout. To use the code you will need to visit your local Redbox location, select “Rent with Promo Code,” enter code, select movie and continue to check out. This code expires 3/30 at midnight. Target has Pepsi Products on Sale This week. Buy 5--12 packs for $15.00 get a $5.00 Gift Card. This is my transactions: Make sure I have at least one Diet Pepsi in Each set of 5. Total Deal 20-12 packs for $33.00 plus tax and Still have one $5.00 Gift Card left. Making the Pepsi 12 Packs $1.25 each. I love rolling deals, and this one is absolutely amazing. Sorry Jim, we have been drinking Coke lately as it has been the Soda on sale, now it is my turn for my favorite Diet Pepsi, and you will have to just suffer. We have Coke-Pepsi Wars at our house, and we always drink whichever is on sale. I will wait until Wednesday when we are in Madison, our closer Iowa Target has returnable cans and we always forget which cans are Wisconsin or from Iowa. The cans are recycled for charity here in town. Just back from Kmart, they have several toys 50% off. 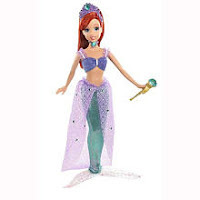 Sparkle Disney Princess Dolls Reg. $11.99 for $5.50. High School Musical 3 Dolls Reg. $14.99 for $7.50. VTech V-Motion Game System for an incredible $44.00. (Toysrus has the games BOGF). These prices are just as good as those offered on Black Friday. I noticed several good deals on the Toysrus Ad, but they are In Store Only. Little Tikes Toys--Buy One Get One Free up to $29.99. I had planned on not going shopping Wednesday when I head to Madison to meet up with my sister and my nephews for a day at the hotel waterpark. Well, plans are now changed to pick up a couple of deals and return and rebuy the Little Tikes Swing I bought a couple of weeks ago, and get a FREE Little Tikes Item. Target has the Step 2 Wagon for sale this week (3/29) for $49.99, regularly $69.99. Saving $20.00 just in time for spring. Miss Kasja will be getting one for Easter from Grandma and Grandpa. Target has Leapster Games on Sale 3/29. Combine it with printable coupons from Coupons.com for an amazing price on the Leapfrog Learning Games. WallE and Star Wars are $15.00. 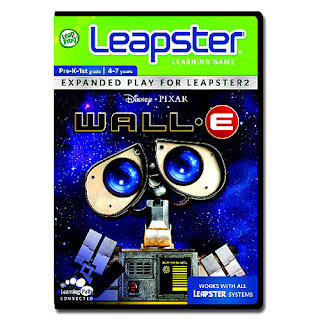 We just returned from Target and All Other Leapster games are on sale for $18.99 less $5.00 coupon = $13.99. $10.99 A savings of 56%. We will head down early to get the best selection. Target also has many other toys up to 50% off. 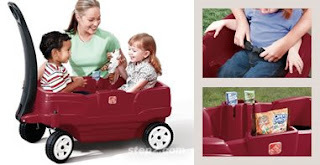 One of the best finds I saw was the Red Step 2 Wagon for only $49.99. Unbelievably Today began the start of Garage Sales in our rural area. When we moved here two years ago I found that the little towns all have City-Wide Garage Sales and they each have a different weekend. With my pantry and storeroom well stocked I am cutting back on Walgreens and my Grocery Budgets to make room for some rummaging fun. We will be using what we have, eating out of pantry, storeroom, and our 2 freezers. Only buying produce, milk, eggs and something we ran out of. The $40.00 will also be stretched watching ads and using coupons, and buying milk, bread, bananas at the gas station. I will be limiting my groceries to $40.00 for the next 8 weeks of sales. With cutting out $60.00 from my grocery budget and $10.00 from Walgreens, I can have $70.00 for Garage Sale Fun. I am always looking for finds for my granddaughter and also my girls, repairable antiques, and miscellaneous. Rules: The total before tax has to be under $20.00 not including tax. I will see how far I can stretch that Twenty with rolling rapid rewards, using coupons etc. I am lucky enough to begin with a $3.00 Rapid Reward to help stretch my twenty. After my Sunday run I will come back and post my savings. Get back 2--$25.00 Gift Cards. To be used for Kmart Doubles. After a busy week and a sick teen, I finally found time to put away my Kmart Double Finds from Sunday. Yes, Sunday, I am behind and definitely running out of shelf space in our storage room. I spent a little more than $80.00 and with Becca and I each taking two runs through the checkouts with our 25 items each, we managed to find all this. This trip I used 4--$5.00 off of $50.00 coupon on each transaction, bought the required numbers of General Mills and Renuzit/Soft Scrub/Purex items to get 2--$5.00 and 2--$3.00 Catalina coupons which Becca and I each used two on our second transactions to save even more. Add my other Kmart Receipt, we have enough to qualify for 2-$25.00 gift cards from Glamour Magazine for spending $50.00 at Kmart for each $25.00 card. Taking into consideration my gift card rebates my Kmart Doubles cost me a mere $30.00. We live in rural Wisconsin and I may have to drive 35 miles to get my doubles, but as you can see it was well worth it. I budget $100.00 a month for doubles to stock our home, my kids homes and apartments, help my friends and the extras for charity. 1 Little Pet Shop Easter Basket, 1--All Dogs Go to Heaven DVD (for my daughter and the $3.00 Coupon for Marley and Me), 5 Purex Laundry Detergent, 3 Ziploc Twist and Locs ($1 peelies on the ziplocs), 4 Ziploc Squares, 2 Ziploc rounds, 2--250 ct. Dixie Napkins, 2 Meaty Bones Dog Treats, 4 Fiber One Bars, 8 Kotex liners, 8 Double Pack Oral B Toothbrushes (shelters), 2 Scrubbing Bubbles Automatic Shower Cleaners, 2 Glade Fabric and Air Pet Cleaner, 2 Chinet Cut Crystal Tumblers, 3 Natures Source Windex, 4 Natures Source Bathroom Cleaner, 3 Large Lysol Spray, 1 Wet Wipes Tubs, 1 Wet Wipes Singles, 2 Dixie Bathroom Cups, 2 Large Size Oil of Olay Bodywash, 2 Cocoa Puffs, 2 Total, 1 Cheerios, 1 Fiber One Cereal, 2 Cinnamon Toast Crunch, 2 Golden Grahams, 8 Dial Handsoaps, 1 Dentex Flosspicks, 8 Gillette Body Wash, 4 Renuzit Anti-Allergen Spray, 3 Sure Deodorants, 2 Secret Deodorants, 2 Soft Scrub Cleansers, 4 Fantastick Cleaners, 5 Wrigley Gum, 4 Glade Carpet Deodorizers, 2 Loreal Kids Shampoos, 3 Boxes of Band-aids, 4 Johnsons Baby Products, 2 Johnsons No More Tangles, 2 Huggies Bath Buddies, 5 Goodlife Cat Food and more. (Does not include the breakdown of the three more bags I found in the car today the girls did not bring in). I came home just under $20.00 under budget, plus am looking forward to the TWO $25.00 gift cards to use on another Kmart Double Event. Postcript: I forgot three more bags in the car of items for even more savings. Leapfrog just posted many good sales on their bundles and just added many items to the 75% off list this week. Use Coupon Code FAF25M9 and save another 25% off your entire order including sale prices through 4/2/09. Get Free Shipping when you order your order total is $49.99 or more. I love the Leap Pen and with this code it can be picked up for $37.99. This is the lowest price I have seen. Most stores have it for $49.99 use the $10.00 coupon for $39.99. Check out a video review of the TAG Reading System at Penny Pinching Parent. There are Two Proof Of Purchase Tabs on Bolt and the Rayovac Rebate will allow a copy of the receipt. I will buy pasta and batteries to save $9.00. Go to Becca's Post Here to Get the Links for the Coupon and Rebate. Don't forget to go to Disney Movie Rewards and enter your points. Rayovac is offering a $5.00 Rebate on ANY Disney DVD. Purchase any Disney DVD and 2 Packages of Rayovac Batteries. All Aboard Toys has EVERYTHING on their site on SALE through 3/27, plus they have a huge amount of toys on CLEARANCE. Use Code CHEAPPEEP09 to get another 10% off when you buy $47.00 worth of Toys. Regular Price Shipping is $5.95 per order. Becca just found today's Free Movie Rental Code for Redbox. 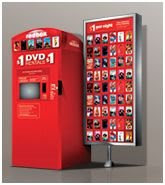 Rent a DVD with a Promo Code & enter promo code MMM325 for a free overnight Red Box Rental Wednesday 3/25. After that you will be charged $1/day. This can used once per credit/debit card. Signup and receive your Redbox Code to your email or your phone. Get Two Rebates and Use One of Two Coupons and Get Both Bolt and Lilo & Stitch for Under $8.00. Our Movie Dealmaker Becca discovered a sweetened deal. Target has Bolt and Lilo & Stitch for $15.99 each. Save $10 when you buy both movies. Get both movies for $7.98. Look out for Peelies on the Bolt Movies and SAVE $6.00 off the purchase of both Bolt and Lilo & Stitch. She found the Peelies on Bolt at Kmart. Total $6.98 for both movies. Don't forget to enter your movie points at Disney Movie Rewards and also receive 50 extra points for buying both movies. Meet Becca our Movie Deal Maker and Critic. Becca is my daughter who is medically fragile and has both Noonan Syndrome and autism and my blogging sidekick. For Becca's Schooling when we were in Michigan the school district furnished her a Stokke Tripp Trapp Chair to support her short stature and fragile joints. Her legs dangle on regular chairs and the foot support helps her maintain proper learning posture. I have been watching for one for a better price than the $249.99. Reviews show that this Primo chair is very similar than the Stokke model we used for a lot less. I found the Primo Easy Chair Posted at Baby Cheapskate for $80.36 at Amazon.com with free Shipping. (Regularly posted at $124.99 for a 40% savings. *Baby Age had very prompt shipping last week when I ordered Kasja birthday sandbox. The Primo Deluxe Easy Chair is a booster chair made of solid birch which actually grows with the child. The seat and footrest height are adjustable which makes the chair for perfect for feeding as a high chair or for simply lounging as a regular old seat. The baby chair can accommodate a child all the way to 150 lbs.! It is fantastic for parents looking to double their value. The child can be comfortable at the dinner table as the baby high chair adjusts so the child is right on eye level. Then combine it and use $10.00 off $30.00 Tweeting offer Good Only Today 3/24. Use Code Twitterdeal24. (The Code can be used again on another transaction). If you spend $75.00 before coupons and Pay through Paypal and save another $10.00 at Toysrus. Nate has always been my Legomaniac--and my nephews Eddie and Eric are following in his footsteps. In fact Nate and I were talking Legos just this past weekend when we found that New Lego City sets. I can't quite figure out Lego City--is classifying the Lego Farm sets as City? Grand Total after Coupon $29.98 for all 3 Sets + shipping handling and sales tax. I paid a little over $38.00 for it shipped including tax. Saving $27.99. I ordered the Farm from Lego with a code for our house last week from the Lego Site (Lego Magazine) and we are collecting the farm sets, we live among the farms of rural SW Wisconsin for the Little Ones and Nate in my life. Thank you to one of my favorite Blogs Hip2Save for the Lego Post and the Cheap Set Space Set Deal from Lego last week! 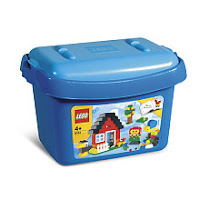 I went back and did the $30.00 Lego Deal again and got another free bucket of Legos for $20.00 after the $10.00 coupon. Aunt Becca, Aunt Detamara and the furry cousins. 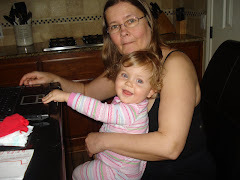 Kristy's daughter Kasja is now One! She had her birthday on March 19 and will be having her birthday party this upcoming weekend. American Girl is offering FREE shipping now through Sunday April 5 with no minimum order total just in time for Easter and Spring Birthdays. This is a great time to shop for Easter or think ahead for birthday presents for that little American Girl Doll fan in your life. Normally AG the shipping costs are normally a little high, and I have never seen them offer it without a minimum order limit. To redeem this offer, enter “EASTERSHIP” in the box marked “key code” in your shopping bag or at checkout. Offer valid through 11:59 p.m. Central Time on 04/05/09. Discount will appear at checkout. Offer applies to standard shipping and processing charges for US addresses only. Additional charges for rush shipping, shipping to Canadian or other international addresses. Check out the American Girl Website for more information. This morning on Fox & Friends, Audiblekids.com is offering 3 FREE audio book downloads for kids. “Gordon” from Sesame Street is helping promote these. Thank you to Faithful Provision for alerting me to this awesome deal. Ricky and Mobo by Roscoe Orman,Clementine by Penny Pennypacker, and Yes We Can, A Biography of Barack Obama, by Garen Thomas are the three free downloadable books. I am a avid book person, Author and Becca's mom I had to post this deal. I wish they had technology like this when she was younger I would have been able to save hundreds of dollars on Books on Tape while teaching my daughter. Becca learns by sight reading because of her dyslexia and other learning disabilities and we have purchased dozens of books each year for her to listen to them while following along. I love that all the technology has allowed us to learn and now with downloads of audiobooks and the new Kindle Book Reader she can be accommodated and excel. Rent a DVD with a Promo Code & enter promo code HG7W56 for a free overnight Red Box Rental Monday 3/22 only. After that you will be charged $1/day. This can used once per credit/debit card. Sign up for Redbox email or phone messages and get the code automatically sent to your email or your phone. Becca's will use her FREE rental code to critique the teen thriller Twilight. For those who don't know us, Becca is my daughter who is 19 and she has Noonan Syndrome and my sidekick and movie buff deal maker and critic. I thought this picture spoke "Hollywood and the Movies" as I introduce her new weekly post. She is our gift, our miracle. From the time she was a tiny baby she was never expected to survive. For the first 6 months of her tiny life she was stuck in the Newborn Intensive Care unit and every system in her tiny body was somehow affected. She spent much of that first year in heart failure, ruled out for a heart transplant because of her immune deficiency and high white blood count, she had something very similar to JMML Leukemia. After one of her many surgeries she had a hypoxic event, and was left without oxygen for nearly 10 minutes. The doctors told us that she would probably have severe brain damage if she were to survive. Bringing Becca home from the hospital meant that I had to learn to turn her room into a Pediatric Intensive are unit, RN nurses and all for what little time she had left. With six children ll and under I could not do everything and I had to share my little one. Becca's days were spent hooked up to technology and doing the many medical cares, to occupy her mind, we read book after book, and watched Disney movie after Disney movie. We could not afford to buy them, but the nurses began Becca's obsession with Disney by always bringing her latest "want". 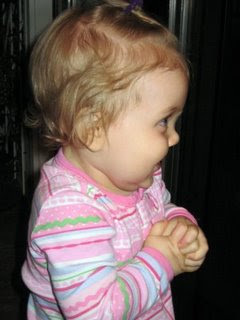 Her first signs... "Little Fishy"( Little Mermaid), "Want Movie", "More Book". With the newest movie meant her feeding pump backpack would change. The ugly gray carrying case replaced by Ariel, Simba, or Pocahontas and hung on her little pink wheelchair. She would always "want" the latest Disney stuffed animal to love and comfort while she went through living with medical needs and all the pain. When Jim's sister got married we took a cross country trip stopping at Disneyland for Becca to meet her favorite characters which we had saved and worked hard to do while Jim was in medical school. We took on extra paper routes to make it happen. When Becca was 8, the Children's Wish Foundation Granted Becca's wish to swim with the Dolphons in the Florida Keys and our whole family which now included 5 siblings adopted from the foster care system to DisneyWorld. The trip to Disney, Becca's wish gave our "new" family an adventure into the world of Disney and cemented the Yurcek Tribe as one. The years have continued, Becca is an avid fan of the Disney Adventure Magazine. She struggles with reading and her learning disabilities and I use her favorites to help her learn. When Disney announced that they were asking kids to share their volunteer activities. Our family gives back and the kids and I created a Backpacks for Kids Program in Kalamazoo Michigan and over the year handed out nearly 5,000 backpacks stocked with school supplies to kids in the area homeless shelter, foster care and needy children throughout the area. Becca told Delonzo and I that we had to "tell Disney about it" and showed me that article in the Disney Adventure Magazine. He and I put together a booklet about our project and spliced together a tape of the news articles about the kids endeavor. We were surprised when Becca, Deangelo, Delonzo and Detamara won the Disney All Star Award for their volunteer team project out of thousands of entries and Disney flew them to Disneyland to Meet up with the Cast and Crew of the "That's So Raven" show to do a volunteer project at a Burbank Nursing Home and of course tickets to Disneyland and huge gift baskets filled with Disney items and of course a selection of Disney Movies. As I write this introduction, it strikes me that Disney is a common thread in our lives with Becca. Movies and Disney Channel helps take her mind away from all the chronic pain, fatigue and illness. It is the place to go in her mind where life is full of sunshine and adventure. At 19 Becca proves that Disney is for all ages, but for her it is a companion. Speaking of Companion, Becca is an animal lover, and those much loved stuffed animals over the years have turned into her now furry companions who are always at her sides. Milo is named of course for Milo and Otis. Milo is her five year old a bischion friase sidekick who snuggles and protects anyone from waking her up. Pumpkin is her orange furry two year old, her nickname "Trouble" coined by Dad is the source of comic relief. The newest addition to Becca's family is her tiny service dog Morgan, a four pound "Morky" half Yorkshire Terrior and half Maltese. She is with Becca as we travel out into doctors appointments, therapy (yes even the hospital therapy pool with a fearful Becca), stores, and our shopping adventures. She loves horses, and rode them despite her bleeding disorders for 9 years at a therapeutic riding stables in Michigan. Becca spends her days caring for her animals, doing schoolwork, and those down days and hours, watching TV and movies. Animal Planet, Disney, Jon and Kate Plus 8, l8 Kids and Counting are her some of her now favorites along with any CSI type crimesolving mystery. Becca has been introduced to Hollywood and movie making when her sister Marissa went on to school and attended the American Academy of Dramatic Arts in Hollywood and Marissa's fiance Jordan has gone into screenwriting and production. Becca keeps tabs on the going ons in Hollywood and we together read the stars on the Walk of Fame. Last year Becca had a promised honored by Oprah, to visit the show and see her favorite singer Celine Dion and I of course got to witness this amazing miracle. She has spent her life as my sidekick and through watching she has become quite a deal finder. She is number oriented and memorizes not only my schedule, but she is my price book. She can uses the internet to find the best deal for anything I ask her to research. She is my personal and research assistant. My Tiny Titan, is living up to her name, small and mighty, my miracle is now practicing her writing skills and sharing her love for movies on my bargain hunting blog. Lately, the movies that are released are all animal loving movies, Becca's forte. I hope that you will stop by at the beginning of each week to see what she has discovered in Movie land and learn more about Becca at Keeping Up with the Tiny Titan. 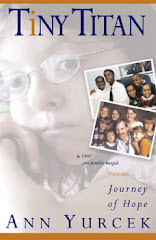 To see Becca's Story stop by the Tiny Titan website. Get Ready for Marley and Me and Check out the Movie Trailer. Becca says you will also have to make sure that you have a box of Kleenex handy for this movie. Becca of course always likes stuffed animals to go with her favorite movie and she discovered another great deal. Check Back Next Sunday for Becca's Best Deal for Marley and Me. Movie Deal finder--Becca is anxiously awaiting the March 31 release of Marley and Me. Browsing the Kmart Ad she found many Kids Family Friendly DVDs for $6.99. The Dreamworks DVD are $9.99. But in the fine Print she discovered that in some of these DVD's which are on sale for $6.99 will contain a Bonus $3.00 DVD cash inside for Marley and Me DVD. Buy either Fluke, Napoleon, Good Boy, Oh Heavenly Dog, All Dogs Go to Heaven, All Dogs Go to Heaven 2 to get up your Marley and Me $3.00 coupon. She asked me if she can use my $5.00 off my next purchase catalina coupon from Today's Kmart Doubles for buying $20.00 General Mills Cereals to pick up Napoleon for $6.99 less the coupon for a grand total of $1.99 and a quiet afternoon. I will save $3.00 off Marley and Me which we promised to buy my Dog Loving Daughter and her furry sidekicks Milo and Morgan. Too bad we did not check the Ad before heading to Kmart this morning, but now I have a reason to head back and try my hand at Doubling again. Her Dad just made the statement that if we could only get her to study her schoolwork so hard after seeing her at my kitchen table intently studying her movie ads. My daughter Becca has both Noonan Syndrome and Autism and she is one of her obsessions is movies and she has definitely learned how to stretch a movie dollar. Check back weekly to see her Family Friendly Movie Match-ups. 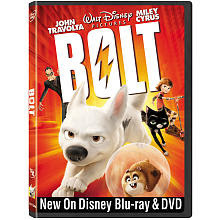 Disney is Releasing Bolt on Tuesday for DVD and Today for Blu-Ray. Pick up your coupon for $10.00 off Blu-Ray and $5.00 off a DVD. 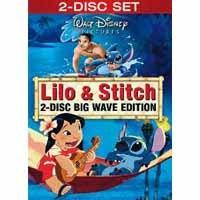 Lilo and Stitch 2 Disc Big Wave is releasing on DVD Tuesday. At Target if you buy both the Bolt on DVD and Lilo and Stitch and save an additional $10.00 off. Then go get the REBATE HERE and pick up a package of Pasta and get $4.00 back!!! (Thank you to Dealicious Mom for the link). Buy both Bolt and Lilo and Stitch and submit the codes at Disney Movie Rewards for 50 extra points and a FREE Collectible Bolt Plush stuffed animal. (shipping and handling is $4.99) and get your Regular Movie Points for each DVD. 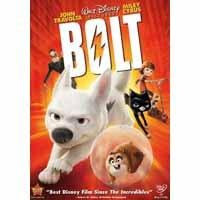 Both Bolt and Lilo & Stitch for $12.98 after Rebate, add a FREE Bolt Stuffed Animal, 50 Extra Movie Points and get two movies for much less than many stores sale price just for Bolt alone. Or Bolt is $6.98 after coupon and Rebate. *Walmart will also price match Target if you bring in the ad, if you have trouble finding it on the shelves. Becca's Movie Deal Post for Barbies Thumbelina will be good another week at Kmart. Our Kmart in Dubuque is Doubling beginning Sunday March 22nd through March 28th. They will Double Coupons up to and including $2.00. Once again our local store is not, but the Dubuque store is only 14 miles further and they have much friendlier management anyway, and better customer service. Check to see if your Kmart is doubling by checking next weeks ad at the Kmart site in the middle of the page under Deals. Check out your stores ad and to see if your Kmarts front cover is clearly marked with the Red Double Coupon Logo. Don't forget to sign up for Kmart's newsletter and they email you a coupon for $5.00 off of $50.00 purchase. Make sure you give the cashier the Kmart $5.00 off coupon before handing them the manufacturers coupons for a frugal shopping adventure. Last time they limited it to 25 coupons per customer and no more than 4 of the same coupon, this time at some stores the limit may be 75 coupons, but mine is 25 again. THEY WILL NOT TAKE INTERNET PRINTED COUPONS--I just got off the phone from Kmart Customer Service for doubles. From Common Sense With Money she has posted a deal from Glamour Magazine to get a $25.00 gift card when you spend $50.00 at Kmart now through 4/30. I will spend $50.00, I only need to spend $35.00 more as I was already to Kmart this week to buy three $4.99 Leapfrog Books after coupons. I believe that you can submit multiple receipts to total $50.00. Get $3.00 back when you buy $15.00 or $5.00 back when you buy $20.00 of these products on he same Receipt. Purex, Zout, Soft Scrub, Renuzit, Dial, Tone, Right Guard, Soft and Dri, and Dry Idea. Many of these products are on sale and then with double coupons and an added reward. Reward is a coupon towards the next visit. Get $1.00 Back when you buy $5.00 worth of ANY General Mills Products. Get $3.00 Back when you buy $10.00 worth of ANY General Mills Products. Get $5.00 Back when you buy $20.00 worth of ANY General Mills Products. Via Checkout Coupon to be used towards your next Shopping Visit. Several General Mills Cereals are on the weekly ad for $2.00 each. The last time Kmart Doubled I did very well. Check out my Kmart Double Heaven Post here. I will be posting more match-ups here on Saturday morning and again once I get back on Sunday by Noon. Note: Kmart will doubled a coupon up to the value of the item only. (no overages). Be careful when you double a coupon off two items, if the double coupon value is more than the first item, it will not take anything off the second item, just give you the first item free. We were at K Mart tonight and discovered the TAG books from Leapfrog are on sale for $9.99. Check out the TAG reader Review at Penny Pinching Parent. 1. There was a $5.00 off any TAG reading system or Book mfg. coupon a couple of weeks ago. 2. Sign up at Leapfrog.com for the Reading Challenge and print a TAG coupon. 3. You can print a $4.00 off coupon from coupons.com. Use any of these coupons to pick up some really inexpensive TAG books by Leapfrog for the TAG readers. The books retail for $13.97. 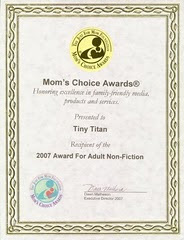 I saw these last June before they were released at the National Book Expo when I attended with the Mom's Choice Award Winners with my book Tiny Titan. These reading pens impressed me enough that I bought the pen when it was released that summer. Since then I have been slowly finding the books on sale or clearance. Total $4.99 or $5.99 each. We ran to Target tonight and I made use of my Quaker Coupons which expire at the end of the month. I walked away with 20 Quaker Products for spending $17.25 out of pocket and had a $5.00 Gift Card for use later, making it $12.25 for all this. (Estimated Regular Price $60.00/20 if each item is $2.99 not on sale). 75 Degrees in March in Wisconsin? What do you do when it is 75 degrees in March and windy? Becca had the best idea for this sunny windy warm March Day here in Wisconsin? We spent the afternoon after I finished hanging my laundry out to dry, flying one of our $1.00 kites for the Dollar Tree Store. She could not decide which one she wanted and pointed out that they tend to get lost into the trees or whatever. The Simplicity of being outside in the sun and the blue skies with my daughter. I knew I wanted to get Miss Kasja a sandbox for her first birthday on Thursday. After seeing all the pictures of her eating sand in Bermuda. I had to get her a sandbox for the backyard. In Texas a sandbox can be used year round. After spending the morning using the internet to research her present and found the best sandbox and then the best price. 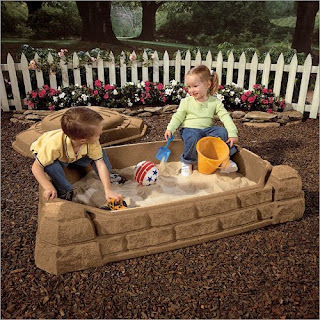 I settled on the Step 2 Naturally Playful Sandbox and I had it shipped to Texas. But of course I am sad that I won't get to see her open it on her Birthday. 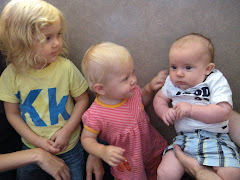 She is growing up so fast, and Kristy has posted new pictures on her blog. The Sandbox ranged from $59.99 to $79.99 and shipping is an issue as the item is so large. I found the best price at BabyAge for $59.99 with $9.99 ships anything. I forgot that I should have gone in to order through Ebates.com and got a 3% rebate which would have given me $2.10 back. Kristy will just have to snap plenty of pictures and camcorder her playing. Being a long distance Grandma mean I just have to spoil her when I get the chance. I was cruising the internet looking for a Sandbox for Miss Kasja's First Birthday and discovered this deal at Little Tikes. For every $50.00 you spend at Little Tikes between March 17th and March 23rd, 2009, we'll give you a coupon for $10 off your next order placed any time between March 24th and April 12th, 2009! There are several good deals on their clearance page. Spend $50, get $10 off. Spend $100, get $20 off. Spend $200, get $40 off. It's as simple as that! I am one of those who memorizes prices and buys it at the lowest price. With returning to a budget and using my stockpile I seldom grocery shop regularly except for milk, bread (for the Non-Glutamaniacs at our house), and produce. I have found those staples are actually cheapest for me at the GAS STATION. Other than when it is one sale, my cheapest Milk, bread, banana prices are at our local Kwik Trip Gas Station. When we fill Jim's car, we pick up our milk, bread, and bananas for the week. We will stop another time tp pick up our little county newspaper and another bunch of bananas. I always pay $.39 a pound for bananas cheaper than any store and always pay a frugal price. I buy my milk in PLASTIC BAGS by the half gallon and every bag of milk, orange juice, etc. gets a punch on my punch card, and a full card of 20 gets me $1.00 off. My kids were shocked by the milk in plastic bags and I bought 1 gallon Rubbermaid pitchers to be able to pour the milk easier and humor my children. I watch their monthly ads and this month large eggs are 99 cents a dozen and bagged orange juice $.99 after coupon. I save my MOO points to benefit our local schools. My splurge, I reward myself by refilling my reusable Soda glass instead of picking up a bottle of Diet Pepsi, saving myself money and being Green. 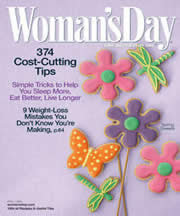 Get one year of Woman's Day Magazine for FREE from free biz magazine. I cannot believe that I used to pay for magazines. Now I find my favorites through Free Subscriptions I can find through my favorite blogs. Being patient I have been able to get most of the ones I read for FREE in the past three months. There is a $10.00 off a Leapster Game System and several stores have these on sale recently making an incredible deal. I carry a the coupons in my wallet and watch the clearance. I have been able to pick up TAG books for as little as $1.48, Leapster Games for $9.99 instead of $24.99 by using my coupons. Walmart has several of the Diji and Leapster Games on clearance and I am watching the markdowns as they are still only 30% off. 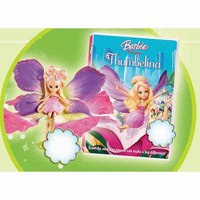 This weeks Becca's favorite pick and deal is the release of a new Barbie Movie Thumbelina. The price is $14.99 at Target, Best Buy, and Kmart. Thumbelina Doll. $19.98 for a great Easter Present for any little girl. The Movie $14.99 plus $4.99 for the doll. I am going to price match Kmart at Walmart by bringing in the ad to Walmart in order to use the $3.00 coupon from All You Magazine for Barbie Thumbelina. **I did a deal like this when the first High School Musical Movie was out on DVD matching Kmart with the doll discount and when both prices are listed they matched both prices and took the $10.00 off the doll. I received a phone call from my friend Melissa who works at Walgreens and she informed me they had great markdowns today. With my 3--$10.00 Rapid Rewards I was ready to see what I could get. I was not disappointed. Finding Craft and Crayola at 75% off is amazing, and using Rapid Rewards made it all nearly FREE. I will be stocking up my Personalized Birthday Craft Boxes for the little people in my life with these deals. My friend Vickie and I have found a new recipe (from an antique Betty Crocker Cookbook) for Banana Bread and checked out the Gluten-free Baking Mix that touts you can add it to your regular recipe cup for cup. But reading the literature that comes with it, it requires a little more liquid and longer baking times. We made it two days ago and this is our polished recipe. The Gift Of Life Gluten-Free Baking Mix can be used in Regular Recipes substituted Cup for Cup and produces as Baked goods than cannot be distinguished from Wheat. Even my Non-Glutimanic husband could not tell the difference!! 1 2/3 cups of sugar well creamed together with 2/3 cup margarine or butter. Add 5 eggs and cream together with the sugar and margarine mixture. Add 5 ripe well mashed medium size bananas, mix well. Then add 3 cups of Gift of Nature All Purpose Gluten-free Flour Blend to the mixture and mix well. Then add 1 cup more of the Flour Mix before mixing add 2 tsp. GF Baking Powder, 1 tsp. baking soda, 1 tsp. sea salt. Mix into the first ingredients, and 1/3 cup water if needs more moisture. You can add 1 cup chopped nuts if desired. Bake in preheated oven at 350 degrees for 50 minutes and keep checking at 10 minute intervals until the toothpick comes out clean. We found that my loaves took an additional 20 minute baking times depending on the oven and size. We put foil over the pans after it was brown to not over-bake the top and get it baked through. ** The baking mix works amazing, I was skeptical about the price at a whopping $33.99 for 10 pounds (30.66 cups) or $1.34 a cup, but it makes it easy to get a product that is as close to wheat that I have found in my 28 years of having to eat Gluten-free. I have seldom liked baking as it is very hard to get all the different flours etc. to work and it takes so much time and work, with several kids with special needs who needed consistant monitoring I had to have simple and time sensitive recipes. This is the product to make it EASY and not frustrating. We figured that it costs me about $10.50 for six loaves of Banana Bread or $1.75 a loaf. We doubled the recipe when I found a bag of ripe bananas for $1.42. I should have bought two and froze them for another time. With Gluten-free baked products beginning at $4.50 to over $12.00 a product, even the mixes can cost that much. With all that into consideration, this mix is a bargain especially for the new Gluten-free baker or Mom's with time constraints. The a couple of months ago there were great coupons on the Scrubbing Bubbles Shower Cleaner. I bought on sceptically for the downstairs shower and was surprised that it actually works. I discovered these coupons thanks to Bargain Briana. I will wait and watch for a sale and buy another, get the rebate. Why do I need two? Sometimes it is cheaper to buy the Kit with the holder with a high value coupon than it is to buy refills. Not only will I get the refill, but enough batteries for another two months. I have also discovered that the solution has enough for around 60 days of daily showers. This deal was just in time, the Doc grabbed my last refill on the weekend and put it on the "To Replace Deal List". I had bought two refills for $2.00 each on Kmart Doubles after doubling a $1.50 off/2 coupon. Two months for $2.00 is not bad to save on my cleaning time. My 10 coupons will get me 20 lbs. of FREE Cat Food for Josie and Pumpkin. Our cats continue to eat for FREE after my 10 bags of Good Life I got for FREE during Kmart doubles. Thanks you to A Thrifty Mom. These last a long time of pretend diaper changing. Give the kids a couple for the dolly diaper bag and replenish the supply when the Huggies wear out. Or at my house...Becca's Build A Bears all wear them. With all the Huggies Diaper Deals, don't forget that Pull-ups count towards the $25.00 get 10 Rapid Rewards Coupons.